Domestic stock markets swung between gains and losses on Friday. At 11:23 am, the S&P BSE Sensex climbed 138.06 points, or 0.38 per cent, to trade at 36,462.23. The broader NSE’s Nifty50 was trading 25.15 points, or 0.23 per cent, up at 11,002.70. According to brokers, investors created new positions today, following the beginning of the October futures and options (F&O) series. Data showing fresh buying by foreign institutional investors (FIIs) on the domestic bourses on Thursday buoyed some sentiments today. Prominent gainers in the 30-share Sensex pack were Axis Bank (+1.46%), HDFC (+1.44%), Tata Motors (+1.33%), ICICI Bank (+1.27%), Asian Paints (+1.21%) and Induslnd Bank (+1.19%). Main gainers on NSE Nifty were GAIL (+3.65%), Eicher Motors (+2.16%), Bajaj Finance (+1.51%), Tata Motors (+1.38%) and JSW Steel (+1.30%). 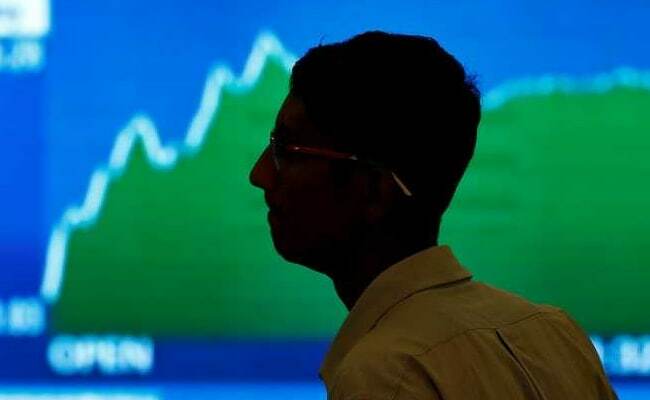 Main losers in the 30-share Sensex pack in the morning session were Yes Bank (-0.37%), Power Grid (-0.39%), Wipro (-0.47%), Coal India (-0.47%), TCS (-0.87%) and Infosys (-1.05%). The top laggards in the 50-share Nifty pack were Yes Bank (-1.45%), IndiaBulls Housing Finance (-0.85%), Infosys (-0.64%), TCS (-0.61%) and Tech Mahindra (-0.35%). The Indian rupee today erased its early gains to dip 6 paise to 72.65 against the US dollar in late morning deals. “It can be observed that some weakness is still intact in the market. Looking at the short term perspective there is some correction still left and we may witness it in upcoming days. The existing PE ratio seems to be higher at current levels. We are expecting Indian market to remain under pressure due to global dynamics”, said Ritesh Ashar, Chief Strategy Officer, KIFS Trade Capital. Globally, Asian shares inched higher on Friday, following gains on Wall Street overnight after news of robust US economic growth, with the chairman of the Federal Reserve saying the United States does not face a large chance of near-term recession. Oil prices inched up on Friday, with investors trying to gauge the potential impact on supply from looming US sanctions on Iran’s crude exports. Meanwhile, stock markets ended on a lower note on Thursday. BSE benchmark index Sensex shed 218 points to close at 36,324, while the broader NSE Nifty dropped 76 points to settle at 10,977.